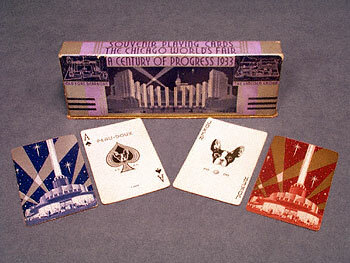 This terrific double deck of playing cards was manufactured as "A Century of Progress" 1933 World's Fair souvenir. One side of the box, as well as the card backs, features an artistic rendering of the Walgreen Building at night, under a starlit sky illuminated by spotlights. 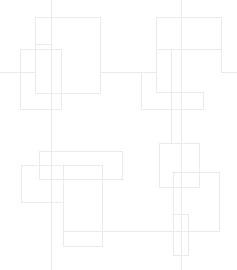 The other side of the box shows the Hall of Science with architectural drawings of Old Fort Dearborn and The Lincoln Group. Made by Peau-Doux, the face of both decks' Joker and Ace of Spades includes that company's characteristic terrier mark. This great set of cards is complete and in excellent condition.